Three months after public health organizations -- including mine, the American Heart Association -- and advocates for health and early childhood development applauded the Philadelphia City Council for approving a 1.5 cent per ounce tax on regular and diet soda drinks, the beverage industry fought back Wednesday with a lawsuit to try blocking the law from taking effect. The industry's motives aren't steeped in concern about the law. Or medicine. It's about business, of course, and their business is selling sugary drinks, the very item many nutritionists point to first when talking about problems with the typical American diet and this nation's growing obesity epidemic. This lawsuit was somewhat expected. After all, Big Soda spent $10 million trying to defeat the vote, and dangled another $10 million as a gift to fund Philadelphia's pre-K program for an entire year merely to try delaying the vote on this measure. Since those strategies failed, the industry is looking for another way to delay or prevent the Jan. 1 enactment of the tax. In the 1990s, the AHA played a strong role in fighting Big Tobacco. So we have an idea of what we're up against. Lawsuits are just part of the drill. This won't be the last, but it is significant because it is the first in this new grassroots approach to controlling our nation's consumption of sugary beverages. 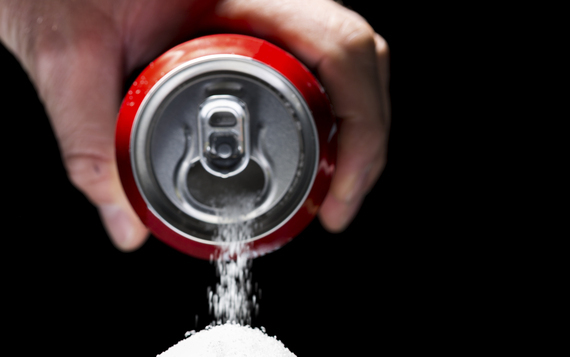 Please understand, the AHA and fellow advocates supporting this tax are not trying to eliminate sugary drinks. Unlike the fight against tobacco, where we continue to recommend zero tolerance, our science shows that some sugary drinks are OK. That science also shows that too many sugary drinks are a problem, and we know that many Americans consume too many sugary drinks. While these beverages are far from the only cause of our obesity epidemic, they are a strong part of the problem. And we know that Big Soda markets its products disproportionately to kids and communities of greatest need. 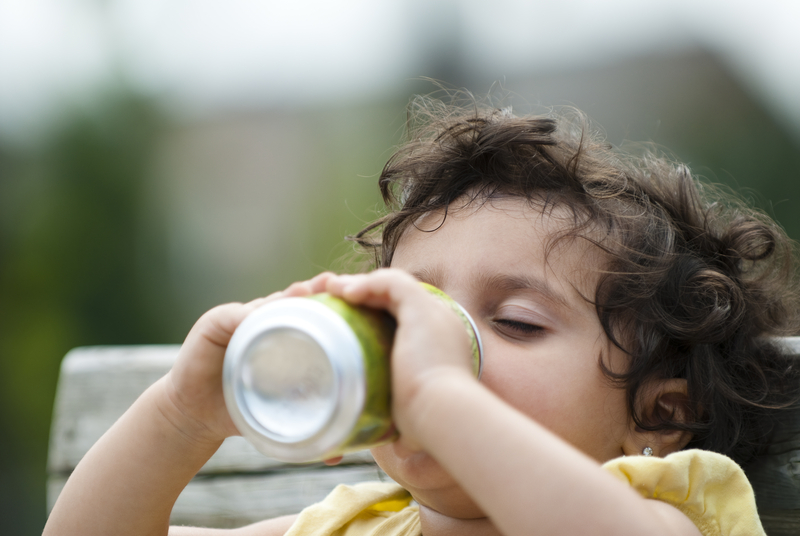 The average child drinks their age in sugary beverages each week. Just last month, the AHA released its first-ever scientific statement on how much added sugars belong in the diets of anyone 18 or younger. (The answer: 25 grams or less per day; the current average among that age group is 75 grams per day.) In discussing the statement with one of its co-authors -- Dr. Rachel K. Johnson, a former chair of the AHA's Nutrition Committee and a professor of nutrition and pediatrics at the University of Vermont in Burlington -- I was struck by her advice on the best way parents can help get their kids' sugar consumption under control. "Start with beverages!" she said. "That is No. 1. They are the No. 1 source of added sugars in the diets of children -- and adults!" In November 2014, Berkeley, California, became the first U.S. city to pass a sugary beverage tax. Voters overwhelmingly supported it despite the $2.4 million Big Soda spent trying to take it down. Chicago also taxes retail soft drink sales, although it's rolled into the sales tax and thus handled differently from Berkeley and the Philadelphia proposal as that money doesn't boomerang back to funding health initiatives. The American Beverage Association -- the trade group representing companies like Coca-Cola, PepsiCo and Dr Pepper -- also has helped defeat so-called "soda tax" proposals in more than 30 states. Other countries are moving more aggressively to curb this problem. Mexico already has a successful tax on sugary beverages and the United Kingdom will implement one in 2018. Meanwhile, in the U.S., we're patching together a quilt that stretches from coast to coast. And just when it looked like we were building a border in the East to complement our success in the West, in comes the news of this lawsuit. I'm confident this will be a bump in the road, one that may even be smoothed over in time to keep the Jan. 1 launch. At the same time, we're also supporting campaigns that are being waged in California, Colorado, Alabama and Illinois. In every case, it comes down to this. What do you value more: The health of our families and our communities, or beverage industry profits?